www.Discover.com/business - Invitation and Application For The Discover it Business - Deal Biscuit - Eat The Info! The Discover IT Card has become an extremely popular credit card but up until recently there was not a business version of this credit card. In September of 2018 Discover Launched The Discover it Business Card which provides some very impressive cash back incentives. This credit card is designed for small and large businesses and is a fairly straightforward cash back rewards card. Now that this credit card is up and running, many consumers are receiving mail offers if they have been pre-approved for the it Business Card. The invitation can be accepted online and you will need to provide the invitation number that was provided with the mail offer you received. 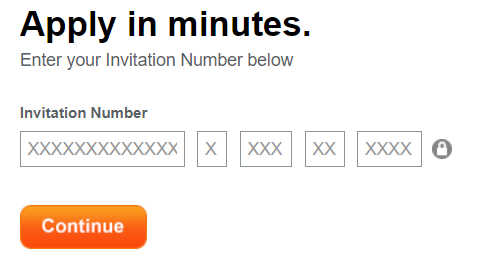 After providing your invitation number you will be directed to your application. There are 2 parts to the application – the first section is information about your business. Here you will provide basic info such as your business name, address, and email. You will also be asked to provide some brief financial information about your business including the annual revenue. The second part of the application is the applicants personal information. After submitting your company and personal details you can submit your application and Discover with review your application for a credit decision. Is The Discover it Business Card A Good Idea For Your Business? Most business owners will recommend the value of getting a business credit card for you company. The main reason is that as your company grows, it becomes much more difficult to account for your business expenses if you do not keep them separate from your personal life. Many business cards come with a lot of frills that may not be necessary for all companies. These cards also have complicated reward systems with categories to keep track off to maximize your rewards and often have an annual fee. 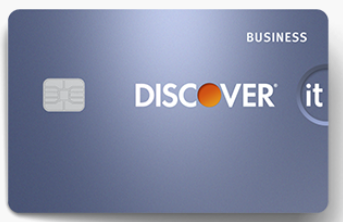 The Discover it Business card is a very straightforward cash back credit card and coming with zero annual fee makes it worthy of consideration.